Starbucks Corp.</strong></a> is asking its U.S. landlords for rent reductions of up to 25 percent for some of its stores. The coffee giant, which is facing an extremely challenging year as the economy undercuts consumers’ discretionary spending, says it began negotiating with U.S. landlords in January and that the discussions about concessions continue. “We are pleased with the results of that effort to date and have since worked closely with several of our landlords to find solutions that are mutually beneficial,” a Starbucks spokeswoman said, adding that there is no widespread, set number in rent reduction the company is asking for. Other big retail chains have asked landlords for similar rent reductions, including Blockbuster Inc., Zale Corp. and Pier 1 Imports, among others. Rent cuts and other lease concessions were the talk of the International Council of Shopping Centers convention held in Las Vegas from May 17 to May 20, said Harold Shumacher, president of the restaurant brokerage firm The Shumacher Group Inc.
Companies like Starbucks that were “hell-bent” on rapid growth signed leases at the peak of the market and paid a premium for prime locations, Shumacher said. Now that sales have plummeted, restaurateurs and retailers want lower rent. Dallas-based jeweler Zale Corp. (NYSE: ZLC) said May 27 it will seek rent reductions across much of the company’s portfolio and close stores where the concessions don’t help. Pier 1 Imports (NYSE: PIR) said April 7 it has been working with its landlords to negotiate store rental reductions and has been able to achieve $6 million in rental reductions for fiscal 2010. Dallas-based Blockbuster Inc. (NYSE: BBI) hired accounting and consulting giant KPMG LLP to help it negotiate with landlords. Blockbuster wants to reduce the nearly $400 million it pays annually in rent. Charlotte Russe Holding Inc., a mall-based apparel retailer (NYSE: CHIC), says it’s having “constructive conversations” with landlords. As of April, management said the company had achieved about $2 million in rent reductions. The concessions create a dilemma for Atlanta landlords. Big national retailers like Starbucks are vital to shopping centers because they draw consistent foot traffic. Many Atlanta retail landlords will have to consider granting the rent cuts. 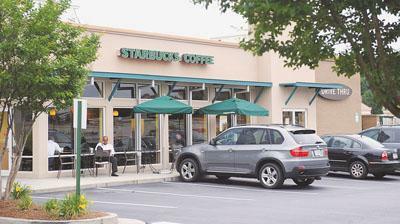 In a small strip center with a Starbucks, the national coffee chain may be the big draw for other tenants “and you don’t want to lose that,” said Mike Puline, vice president of leasing for DLC Management Corp.’s Southeast office in Atlanta. But metro Atlanta commercial property values are plummeting anywhere from10 percent to 50 percent as rental incomes decline and vacancy rises to its highest level in a decade. The situation is putting pressure on retail investors and owners, whose storefronts once posted advertisements of special sales. Now, they are more often posting signs for vacant space. Retail vacancy in Atlanta has climbed to almost 11 percent compared with about 8.5 percent in the second quarter of 2008, according to CoStar Group Inc. Rental rates have fallen below $15 per square foot for the first time since 2007. CBL & Associates Properties Inc. (NYSE: CBL), a Chattanooga, Tenn.-based owner of malls including Arbor Place in Douglasville, said it has considered concessions for its tenants. Usually the requests involve some type of quid pro quo, including asking the tenant to extend the lease. Landlords are often getting something back when they give a rent concession, Puline said. DLC Management, which owns 16 shopping centers totaling 2 million square feet in metro Atlanta, wants to see how the retailer is truly performing before it agrees to concessions. Some landlords say they are wary of granting rent cuts. Most retailers are now expecting concessions, including lower rents, especially if they are expanding, Puline said. Some retailers are simply trying to take advantage of the slow economy, whether their sales are down or not. “You can’t just base it on 2008 sales numbers … because the entire world did bad in 2008,” Puline said. Previous Listing: Welcome to the NEW Atlanta Restaurant News!